WEEP News / L.A. school district demands iPad refund from Apple / EHS myelin damage / Philippines / Earthing influences / OPT OUT FEES VIOLATE STATE LAW / Cancer and Wireless etc. The Los Angeles Unified School District is seeking to recoup millions of dollars from technology giant Apple over a problem-plagued curriculum that was provided with iPads intended to be given to every student, teacher and administrator. To press its case, the Board of Education on Tuesday authorized its attorneys in a closed-door meeting to explore possible litigation against Apple and Pearson, the company that developed the curriculum as a subcontractor to Apple. PRLog - Oct. 10, 2014 - In the Fall of 2014, LAUSD, the second largest public school district in the US, officially accommodated teacher Ms. Anura Lawson by approving her request to have the Wi-Fi turned off in her classroom during the 2014-2015 school year and alternatively approving a reassignment to a different school site where Wi-Fi has yet to be installed. In March 2012, the Austrian Medical Association recognized and developed EHS treatment guidelines. In the United States, adverse effects were identified before 1988 when a US Air Force Review stated that "Experimental evidence has shown that exposure to low intensity radiation can have a profound effect on biological processes." Decades of accumulated research show wireless radiation damages neurological, immune, and reproductive systems in addition to increasing cancer risk. Professor Olle Johansson, Karolinksa Institute, Stockholm Sweeden, has stated that wireless radiation exposure studies have indicated "irreversible sterility within five generations." As this damage is cumulative, the longer the radiation exposure, the greater the health impact over time. "We are getting reports of headaches and cardiac issues from across the country. The time to act is now," stated a spokesperson for the National Association for Children and Safe Technology (NACST). NACST is an organization dedicated to raising awareness of the health impacts of wireless radiation on children. They are calling for schools to use wired Internet only. Their website details both the accumulated research showing wireless radiation's acute as well as long term health impacts. Earthing the human organism influences bioelectrical processes. These results indicate that up-and-down movement and the elimination of potentials in the electrical environment of the human organism by the Earth's mass may play a fundamental role in regulation of bioelectrical and bioenergetical processes. The Earth's electromagnetohydrodynamic potential is responsible for this phenomenon. cancel the opt out fee and monthly fee for reading the analog meter, allowing Plaintiff (StopSmartMeters.org Director Josh Hart) to self-read the analog meter." 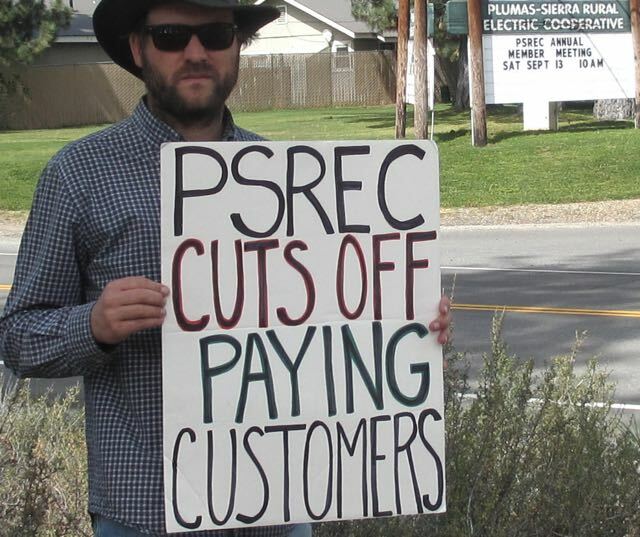 The decision last week comes 14 months after Plumas Sierra Rural Electric Cooperative (PSREC) cut the electric wires to the Hart household in February 2014 though the family have paid for their full electric usage minus the illegal "opt out" fees. During that time, they have been living without electricity in an all-electric home in the Sierra Nevada mountains, without either a fridge or hot running water, depending on a wood stove for heat, cooking, and heating water. The family is continuing to hold out and have refused to sign PSREC's proposed agreement that would have traded Mr. Hart's silence about the dispute over the utility's hazardous smart meters for restoration of electricity service. "We refuse to be extorted, coerced, or silenced," says Plaintiff and veteran anti-smart meter organizer Josh Hart. "It's about time PSREC is held to account for its flagrant violations of disability rights. The court's decision has vindicated our standing up to the utility and confirmed that PSREC is indeed violating the law. They must obey the law and reconnect services." In the small claims court case brought by Mr. Hart in March, Judge Hilde found that PSREC and its General Manager Bob Marshall violated state discrimination law. 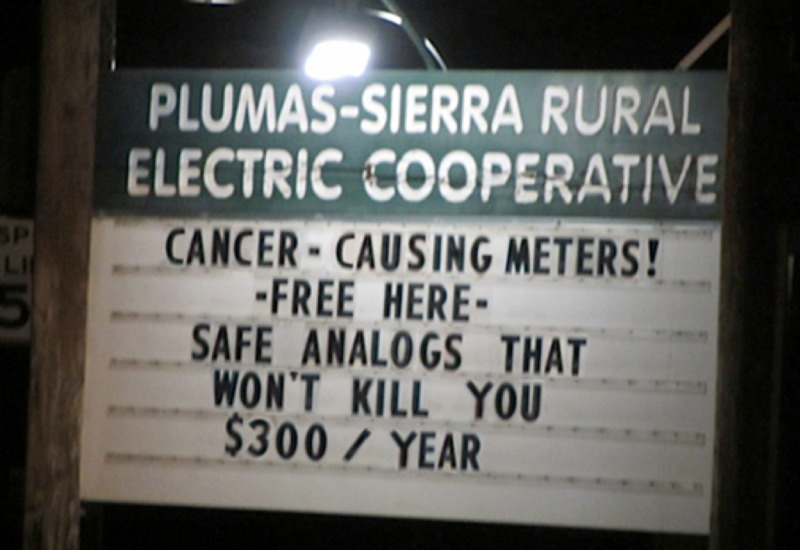 The fees: $141 to start and $15/ month to use an analog meter, were found to be illegal under CA law as the utility levied a fee for what they knew was a simple accommodation of a physician-confirmed functional impairment, or disability  the removal of RF emitting equipment from the premises. "Plaintiff presented the court with a letter from his physician, stating that he has a condition, Electromagnetic Field Hypersensitivity, which causes him to suffer from headaches and other medical symptoms when exposed to radio frequency from smart meters. Plaintiff also provided the court with copy of the California Public Utility Code section 453(b) which provides in part: 'No public utility shall prejudice, disadvantage, or require different rates or deposit amounts from a person because of ancestry, medical condition, marital status, or change in marital status, occupation, or any characteristic listed or defined in section 11135 of the Government Code'"
Though Judge Hilde has now ruled that the fees are illegal, and ordered PSREC to offer a self-read based electric service, General Manager Bob Marshall refuses to comply with the judge's order, and is refusing to restore electricity to the home. Marshall and the PSREC Board of Directors say they plan to appeal the case. Hart asks, "Is it really in the public interest to spend ratepayer money on expensive attorneys to continue to refuse paying customers, unreasonably deny service, and defend illegal and discriminatory behavior?" When Mr. Hart attempted to attend the annual meeting of the cooperative and vote in the election for directors in September, PSREC officials threatened him with arrest for "trespassing," even though Mr. Hart was at the time a member and received an invitation to the event. "PSREC is retaliating against us for speaking the truth about their hazardous metering systems. Their continued refusal to reconnect our home, even in the face of community pressure and a judge's order is petty and vindictive, and is only driving more attention to an issue they'd probably prefer to sweep under the rug." This is not the first time that local courts have sided with smart meter radiation poisoning victims. In 2012, a small claims judge in Santa Ana ruled that So Cal Edison replace an analog meter on the home of a woman who was made sick by the new wireless "smart" meter. A woman in Santa Cruz County settled out of court with PG&E after she brought a small claims case for reimbursement for thousands of dollars spent to shield her apartment against radiation that was causing tinnitus and other health problems. This legal victory for the Harts and the broader Stop Smart Meters! movement contributes to the ongoing erosion of the legitimacy of smart meter "opt out fees" nationally. Earlier this week, the Arizona Corporation Commission voted to suspend such fees statewide, while legislation in the state of Vermont already prohibits such fees. "The fires, the health problems, and the recent simultaneous explosion of hundreds of smart meters in Stockton point to the fact that we should be abandoning the entire ill-conceived system  not just be dropping the fees. Charging for the use of safe and secure analog meters, and disconnecting paying customers is a violation of the law and community moral standards," stated Hart. PSREC has until May 7th to file an appeal. We are very fortunate to have an expert in cancer research. 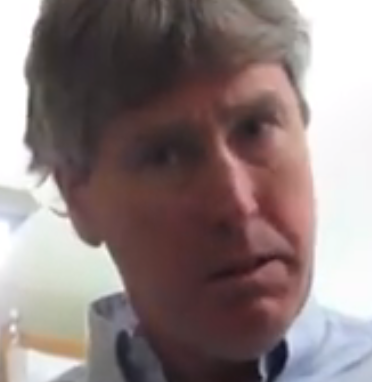 Dr. Malcolm Paterson, move to BC, having retired after many years devoted to this topic. He is now offering his experience to help educate people about the harm posed by wireless devices. Over the last couple of months he has made several presentations, and has graciously offered use of his power point to anyone who might find it useful. It can be found at http://www.stopsmartmetersbc.com/wp-content/uploads/2015/04/EM Age Sleeping Giant.pdf along with his CV. If anyone has any questions you may reach him at him email macpaterson@hotmail.com. Dr. Paterson wants this power point to be used and shared widely. Perhaps the title of this article should really be "What will the eventual cost of smart homes be"? That cost may include very high personal health and medical costs. Most of the 'smart devices', including smart meters, use wireless transmitters which fill homes, neighbourhoods and cities with powerful amounts of microwave radiation. The World Health Organization calls wireless radiation a class 2b possible carcinogen. Many scientific studies show that wireless radiation causes depression, hearing problems, neurological problems, various cancers, sleep problems, immune system problems and many more illnesses. The overall cost of filling our living environments with a dangerous wireless toxin are likely to be massive and may endager the entire medical system. The people who are pushing and profiting from 'smart homes' are likely to cause illness and early death on a scale that ISIS could only dream about. The scientific evidence of these dangers has been researched in thousands of studies over the last sixty years. These studies are widely available for people to read and understand. A good place to start is The Bio Initiative Report at www.bioinitiative.org . So-called 'smart devices' that use wireless technology are harmful to human and animal biological systems and need to be avoided. This commentary from the Norwegian business newspaper, "Dagens Næringsliv", from Saturday March 29, 2014, has already been said to be one of the most important "game changers" so far in the area of health effects of electromagnetic fields. Quote: "It represents a completely new approach: The battle is lost for the other side. If this impression begins to stick to people over time, the authors have triggered a paradigm shift. I think we have to repeat and repeat these exact words - the battle is lost for the wireless technology. The article will raise awareness and the Norwegian Radiation Protection Authority do not wish for a lengthy public debate in the newspapers. They see that we are capable of writing and that we do not accept anything and everything." Are Microwaves from Mobiles & WiFi Harming our Children? On October 1st, 2014, Dr Fred Hussain PhD hosted the seminar in Bishop's Stortford, Hertfordshire, on wireless radiation and its impacts on human health. Four speakers from the UK were invited to present: Alasdair Philips of Powerwatch, Dr Erica Mallery-Blythe of PHIRE (Physicians Health Initiative on electromagnetic Radiation and the Environment), Dr Elizabeth Evans and Mike Mitcham of Stop Smart Meters! UK. Regulators reversed a decision to allow Arizona Public Service Co. to charge customers for refusing smart meters. Are smartphones (and WiFi) making our children mentally ill? There has been an explosion in numbers in mental health problems amongst youngsters." The floodgates of desperate youngsters opened, she recalls, in 2010. "I saw my work increase by a mad amount and so did others I work with. Suddenly everything got much more dangerous, much more immediate, much more painful." "Something is clearly happening," she says, "because I am seeing the evidence in the numbers of depressive, anorexic, cutting children who come to see me. And it always has something to do with the computer, the Internet and the smartphone." WEEP News / Safety Code 6 is under investigation / Allergic to Wi-Fi / Cell Tower / WiFi drones / landlines / Smart Meters Explode / Who Will Pay / Wi-Fi fears / Effects to auditory system etc. Health Canada admits studies show harm at levels below Safety Code 6. Health Canada ignores the scientific research; its review is subject to bias and incorrect conclusions. Health Canada ignores 2010 HESA recommendations to proactively inform Canadians about adverse effects of EMR exposure. Health Canada admits there are NO studies regarding the cumulative effects from several devices from wireless radiation. I was so excited to go buy a new laptop, because I love computers. But when I opened it, something didn't feel right. The left side of the mouse pad was vibrating. It made my fingers tingle. I've been working with computers forever so I knew there was a technical problem  maybe too much static electricity. I exchanged it, and the store confirmed it was defective. Landlines are being replaced with Internet-based phones in many schools, especially as the FCC's e-rate program scales back subsidies for traditional phone services. 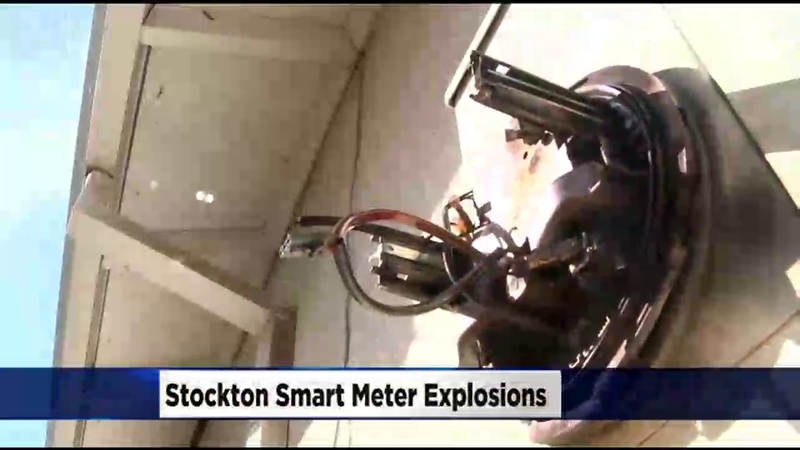 STOCKTON (CBS13)  A power surge left thousands without power in Stockton on Monday after smart meters on their homes exploded. The explosions started at around 8:30 a.m. after a truck crashed into a utility pole, causing a surge. When the customers in more than 5,000 homes get their power back on will depend on how badly damaged their meters are. Hundreds of PG&E workers were in the neighborhood replacing meters and electrical panels. The company even hired outside contractors to help with the huge job. 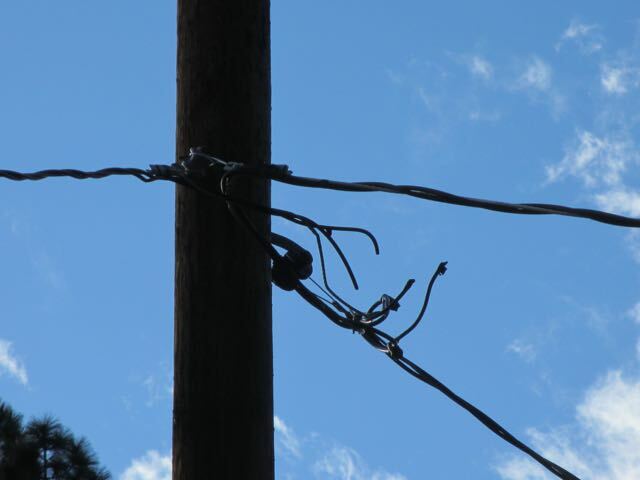 By late afternoon, 400 customers were still without power. Many didn't want to stay home, so PG&E offered to pay for hotel rooms. In this poorly researched article, Faith Davis shows her complete ignorance of the adverse health effects of microwave radiation. Those adverse effects were first noticed during the Second World War when people working with aircraft radar developed microwave sickness. Thousands of scientific studies since then have shown serious biological effects and increases in cancers, depression, suicide and sleeping problems etc. If Faith Davies thinks that it is OK to subject children to a possible carcinogen (World Health Organization designation) for several hours each day while they are at school, she should not be involved in the School of Public Health. She would be wise to read the BioInitiative Report and learn about the illnesses and diseases that have been scientifically linked to wireless radiation by scientists and doctors who specialize in the subject. The report is available at www.bioinitiative.org . Özgür A, Tümkaya L, Terzi S, Kalkan Y, Erdivanlı ÖÇ, Dursun E. Effects of chronic exposure to electromagnetic waves on the auditory system. Acta Otolaryngol. 2015 Apr 2:1-6. [Epub ahead of print]. CONCLUSION: The results support that chronic electromagnetic field exposure may cause damage by leading to neuronal degeneration of the auditory system. OBJECTIVES: Numerous researches have been done about the risks of exposure to the electromagnetic fields that occur during the use of these devices, especially the effects on hearing. The aim of this study is to evaluate the effects of the electromagnetic waves emitted by the mobile phones through the electrophysiological and histological methods. METHODS: Twelve adult Wistar albino rats were included in the study. The rats were divided into two groups of six rats. The study group was exposed to the electromagnetic waves over a period of 30 days. The control group was not given any exposure to the electromagnetic fields. After the completion of the electromagnetic wave application, the auditory brainstem responses of both groups were recorded under anesthesia. The degeneration of cochlear nuclei was graded by two different histologists, both of whom were blinded to group information. RESULTS: The histopathologic and immunohistochemical analysis showed neuronal degeneration signs, such as increased vacuolization in the cochlear nucleus, pyknotic cell appearance, and edema in the group exposed to the electromagnetic fields compared to the control group. The average latency of wave in the ABR was similar in both groups (p > 0.05). Gupta said nature of RFR is similar to noise and other air pollutants and RFR has harmful effect on human beings and living creatures. "Report of Inter-Ministerial Committee, 2010 has clearly brought out that presence of RF radiation tend to be injurious to human beings and other living creatures like bees, birds etc. The extent of harmful effect will depend upon the exposure level and duration of exposure," he claimed. Popular Science article about EHS. Residents are not entirely cut off. They can access TV and Internet with cable. But Green Bank is one of the few places in the world where electrosensitives can be certain that no one is going to erect a cell tower in their backyard or bolt a smart meter to their house. Whilst people all over North America and Australia are being made ill by microwave radiation from smart meters, this judge has failed to look at the harm being caused, ignored the evidence and called it frivolous. This is shameful abuse of the justice system. Smart meters can be an especially harmful form of wireless radiation since they emit high spikes of microwaves every several seconds. It's only a blip you might say, but studies show the 24/7 high emission zapping is hazardous even if you can't see or smell it. Près de sept milliards de téléphones portables et smartphones sont utilisés de par le monde, dont 700 000 en Europe. Ces chiffres ne cessent de croître. Accessoires indispensables à la vie moderne, ces appareils de plus en plus polyvalents ne nous quittent plus. Sont-ils aussi inoffensifs que l'assurent fabricants et opérateurs ? Les ondes électromagnétiques qu'ils produisent pourraient nuire à notre santé. Maux de tête, troubles du sommeilï¿½ : si les personnes électro-hypersensibles présentent des symptômes sans ambiguïté, qu'en est-il du commun des mortels ? Une étude française récente a révélé un lien entre utilisation intensive des portables et tumeurs cérébrales. D'autres annoncent que ces appareils pourraient altérer, à long terme, notre patrimoine génétique. Depuis des années, la communauté scientifique reste pourtant divisée sur ce sujet, dont les enjeux dépassent de loin les questions sanitaires. Cette enquête tente de démêler le vrai du faux, en interrogeant neurobiologistes, cancérologues, ingénieurs en téléphonie ou comités de vigilance du monde entier, tout en pointant les conflits d'intérêts qui obscurcissent les résultats des recherches. Si la question reste en suspens, une baisse des rayonnements, des améliorations techniques et des recherches complémentaires pourraient contribuer à minimiser les risques pour les générations à venir. Radiofrequency (RF) Exposure from Mobile Devices and In flight Wi Fi, A New Human Factor? Also - we know that wireless radiation causes increases in depression and suicide - could Wi Fi have been the tipping point for the pilot, in the recent German Wings air (suicide) disaster? I am surprised at the inaccuracy of this article. I would expect this kind of journalism from a gossip column, rather than a physics magazine. Instead of reporting poor journalism stories from newspapers, the author should have looked at the scientific evidence about the adverse health effects caused by exposure to electro magnetic fields. Wireless microwave radiation (as used by cell phones, WiFi, cordless telephones and smart meters etc.) was first observed to hurt people when they were working on radar during the Second World War, seventy years ago. Adverse biological affects have been reported in thousands of scientific studies since that time. Scientists and medical specialists who are aware of the harm being caused by electro magnetic fields have demonstrated significant harmful effects on people who suffer from electro-sensitivity and have shown serious harm is caused to humans, birds, animals and even trees. The author needs to do some research before writing a harmful article like this, he could start by reading the BioInitiative report at www.bioinitiative.org . This is a report by nineteen scientists and ten medical specialists who have examined and reported on thousands of scientific reports. Bioinitiative is recommended by Dr.veronique Desaulniers ("Dr.
V") in Ty Bollinger's documentary. and growing back when WiFi was disconnected. she has a cancer clinic. what makes this testimony interesting. PORTLAND  A Florida supplier has been indicted on charges he bribed Portland's former parking manager to win contracts for the city's smart meter program. I wonder who will be first to turn off all the streetlights of Paris? Will it be a terrorist group, a hacker or 'Jimmy' on his home computer thousands of miles away?